Just like everyone else, we here at Trove Studio are prepping for the holidays! All of us are departing for a few days to enjoy this time with our families. However, we will back next week. In the meantime, I thought, what is one thing everybody loves over the holidays? Well of course, binging our favorite TV shows while once again immobile due to insane amounts of food we have consumed. Therefore, I put together a list below of some of the classics to put you in the holiday-ish mood. November 12 will now be earmarked as another sad day in the entertainment and film world. As it lost another legend, Stan Lee- comic book writer, producer, and publisher. Stan Lee passed this Monday at the age of 95. Creator of such iconic stories that we all love such as Spider Man, Black Panther, The Fantastic Four- course I could go on and on. In order to pay tribute to him, I wanted to a give rough overview of Lee’s career. Besides watching Chef’s Table, of course she likes to watch other tv shows such as “Game of Thrones” and “This Is Us.” As for movies “Short Term 12”, “Her”, and Wong Kar Wai films. Basically anything emotionally heavy and character-driven, she loves it! Music is another love of Vivian’s she enjoys making playlists in her free time! Sound is what got Vivian started in the film industry. She helped establish “Sofar Sounds” in Athens Georgia, where she was a videographer and video editor. 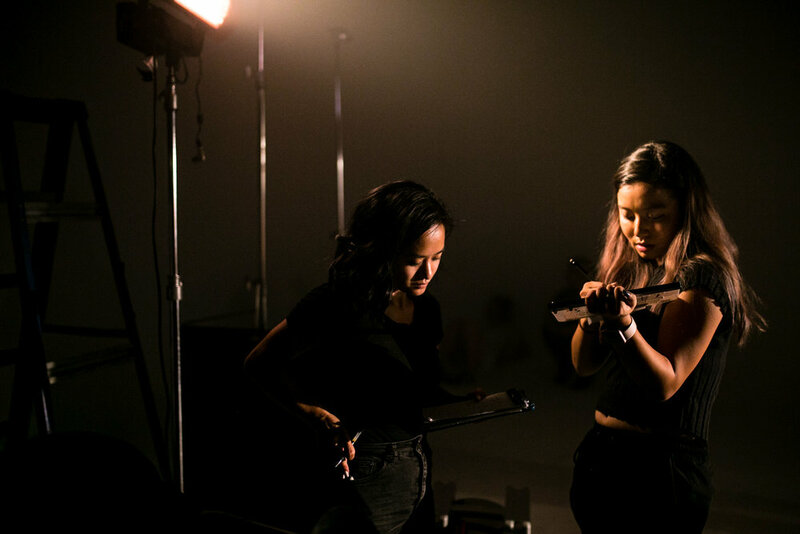 “I discovered a community of people who wanted to help create this platform for artists to express their musicality. I transitioned into filmmaking through a similar collaborative process, but that’s where I discovered my passion and appreciation for editing”, she says. We definitely feel that Vivian is in the right field for sure! Since starting at Trove, Vivian has found that she really appreciates the balance of professionalism and interpersonal conversations between everyone. “I think that level of comfortability is important for a company’s growth,” says Vivian. Halloween Traditions and Hauntings: Are You Being Haunted? Hey Everyone! It’s October and this week we are celebrating Halloween! Here in the studio we’re excited for the horror movies, haunted houses, makeup and costumes! We went around and asked our Trove team about some of their Halloween memories. Alan, one of our interns and PAs, said as a kid his family didn’t really do halloween, but the best memories he has are carving pumpkins and dressing up as Mushu from the Disney movie “Mulan.” His dream pumpkin to carve would be Shrek and Fiona, but to set these pumpkins apart he would leave them out all year! Alan says, “I just feel like that is what you should do with a Shrek pumpkin, you know?” Alan doesn’t have many plans this year for Halloween, but he might try to go to a Anime convention in his hometown of Detroit, Michigan. It was a lot of fun talking with Ashley, Trove’s Producer, about her halloween experiences. She remembers her mom dressing her up as a witch EVERY SINGLE YEAR! Ashley's favorite costume was being a Genie, but she said it was not very good once you had to get bundled up for Maine’s cold weather. Something really cool about Maine -- other than the weather -- was how crazy everyone is about the Salem witches. Going from one extreme to another Ashley then moved to Florida. She said, “Halloween is just not Halloween in Florida. It’s way too hot!” Even though halloween is not the same in Florida, Ashley really enjoyed her nephew dressing up as Buzz Lightyear from Disney’s “Toy Story”. Now living and working in Atlanta, Ashley hopes to dress up as Cardi B this year. Cardi B is definitely going to be a really fun and popular costume this year. What do you all think? Hocus Pocus is just the essential ‘scary’ movie you watch as a kid, you know!” Shelby said. Of course, we had to ask who her favorite Sanderson Sister is. She went with Mary, the witch with black hair, because she’s so funny. She thinks Hocus Pocus is a great movie because it’s a story about family, and even though it’s kind of sad it has a great ending. Her favorite part of the movie is when the Sanderson Sisters sing “I’ll Put a Spell On You.” “I love that song so much. Shelby’s favorite costume so far for Halloween, was when she and her boyfriend went as Bob and Linda from Fox’s “Bob’s Burgers,” her favorite show. This year Shelby is planning to dress up as Lara Croft from “Tomb Raider”, Leeloo from “The Fifth Element, or the block furniture characters from Kanye West and Lil Pump “I Love It” music video. The goal is to be someone really cool or something just plain funny and stupid, said Shelby. Ashley told us about how her cats like to hide in her box spring. One day her box spring was making weird noises … and it wasn’t her cats! Her apartment was built in the 1920’s, so it really could be anything. Maybe a cat died and was haunting her because she loves cats so much? Who knows? Although, the best story of them all, of course, was from Ben, our director. One late night, Ben was at the studio while no one else was here. He was working while listening to the audio book “The Demonologist” by Ed & Lorraine Warren. In the audio book the Warren’s describe the difference between ghost and demon possession. According to the book, when a demon is bothering you, there’s always a bad smell and something gross around like urine or feces. So Ben’s just listening along and then decides to go check the mail outside. Everything was normal and nothing out of the ordinary. He got the mail walked back inside and … stepped right in some kind of feces. To this day, Ben doesn’t know where it came from or what caused it to appear. Maybe it was because he was listening to the audio book or maybe not? We can’t finish up the blog without mentioning some great events going on in the community. 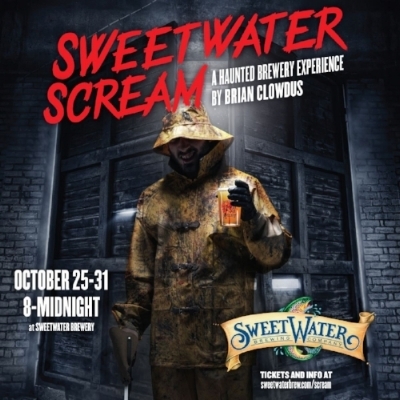 What we recommend for October are the haunted tours at SweetWater Brewery, Edgar A Poe Experience at Wrenn’s Nest and Marco Ramirez's "The Royale" for people looking for something decidedly less scary (“not scary”). Go check them out and have a frightening October! Hey Trove friends, thank you as always for tuning in to our blog here at Trove! This week we have been working with color! How so? You may wonder. Well… we’ve just finished working on a haunted house trailer based off Edgar Allan Poe’s classic stories. Some of the stories featured are “The Tell-Tale Heart”, “Fall of the House of Usher,” “Mask of Red Death,” and “The Raven.” What’s awesome about working on a trailer with known stories is that you can push mediums like color to enhance the narrative. Color is important because it affects viewers emotionally, psychologically, and even physically. Perfect for anything horror related! Color can build harmony but also can create tension depending on what color scheme you use. Some of these color schemes consist of monochromatic, analogous, complementary, and triadic. Briefly, what are those color themes? Monochromatic is one color hue that is altered by the change in tones and shades; creating an awesome use of contrast. Analogous is when you use a set of colors that are right next to each other on the color wheel; which is pleasing to the eye. Complementary colors are opposite colors on the color wheel; and are used when there are internal conflicts. Triadic is the use of three colors on the color wheel evenly spaced; they do not have to be right next to each other. It is important when using these color theme that one color is more dominant in the scene and the other two colors are complimenting the more dominant color. Specifically, color can draw your eye to a certain subject. Directors tend to do this in a story because they have a message they want to send to viewers. We created a scene from the “Tell-Tale Heart” and most of the room is yellow. In color psychology yellow can be used to indicate intensity and frustration. As viewers are focusing on certain actions in the video they get the impression that the character is frustrated and the situation is intense. In the story itself, the author is going insane as he’s telling the story of how he killed a man. Therefor we used yellow and show aspects like the door knob shaking to give the impression that things are about to break through the surface, making viewers feel an adrenaline rush. Certain colors can be used for characters to indicate their personality type or their intentions. In another scene we have the villain from the “Mask of Red Death”; and he’s in a red cap, blood on his face, and holding a bloody apple. In the scene the villain is standing in front of a dinner table and smoothly shows the audience the apple. At first you might not realize that the apple has blood on it. Although you don’t see the blood, the audience knows something is not right due to the red hue of the room. The red tell us that there’s a sense of desire but that he’s simultaneously dangerous. After seeing the villain and maybe feeling uneasy, you look at the bloody apple, which is meant to be a distraction right before the lil’ crow caws his head off and gets you truly shook. The gestures along with the color distract the audience by showing them a danger that they may be trying to discern, then as they are mid thought -- CAW! Blue is the color of a dead body and in this case signifies death. It can also signify calmness, but the scene is not calm. Our director, Ben Wade, wanted to use a little reverse phycology by making the scene feel as though it may be calm, but it’s revealed that she’s manic and dead. The hope was to leave the viewers feeling uncomfortable and on edge as she screams. The goal of the whole trailer is to take you on a literal mind trip through Poe’s subconscious, eliciting feelings of discomfort and suspense along the way. What would we do without color to strengthen the emotional and psychological reaction? At Trove we believe the use of color is important in film and video. The use of color can create an aesthetically pleasing video, and it can also strengthen your storyline. To learn more about color, check out our blog post titled "Hue Knows What I Mean: Color in Film and Video Production".You can check out our Edgar Allen Poe trailer here. Hey Trove Followers! We would like to introduce you to one of our newest team members. To start out our first candidate is Alan McKelton! Alan is a Production Assistant here at Trove from Detroit Michigan. Alan came to Atlanta, Georgia because he realized the opportunities of what Atlanta Video Production Companies had to offer while pursuing his Bachelor’s degree at Clayton University. While attending Clayton University, he studied video and even got a minor in French. Funny enough, French films are what got Alan into the love for the film industry. He admires some of the French “Bad Boy Culture” and their sense of style. He even has a love for French fries (which was not created by the French and has nothing to do with video). Anyways, other media that has influenced Alan’s sense of “style” are horror movies like “The Anti-Christ”, and thriller film “The Double”, and Sci-fi book “Nova”. After college, Alan began looking for internships and found Trove Studio! Since beginning his internship, Alan has enjoyed how laid back and cool everyone is. Yes! His favorite project at Trove was interviewing the union members for Actors Equity Group because of how passionate and caring they are about the theater groups here in Atlanta. Some of Alan’s personal goals with Trove Studio are to work on some Cinema projects and become a Light Technician. Alan would like to create and work with films that push mediums such as color, light, and that are deeply personable. Who knows, maybe they’ll even star some French Actors? Hello there Trove-ians, and thank you once again for tuning in to another Trove blog! This week, I’d like to open by discussing a film that I saw recently that forced me, a strapping, brave, and confident twenty-five year old man, to sleep on the couch with lights on because it … it just scared me so much. That film was “Hereditary.” Flying under the radar, it’s been met with laudatory critical acclaim, and for good reason; the movie is incredible, an intense fusion of searing family drama and shocking, traumatizing horror. The movie is terrifying, to say the least, but what gives the film that special resonance that all great horror movies possess is that it’s actually trying to say something.